What Is the Difference Between Natural & Organic Food? The decision to buy organic chicken or conventionally raised chicken involves a number of factors. You may choose organic chicken because you feel it is healthier, more humane or better for the environment. Conversely, you may choose conventionally raised chicken due to price considerations or concerns about food safety. Learning the facts about both options will help you make an informed choice. Organic labels indicate specific agricultural practices and are not necessarily a guarantee of improved food quality. According to the U.S. Department of Agriculture, there is currently little reliable research to indicate whether organically produced food is nutritionally superior to conventionally raised counterparts. Organically raised plant products do appear to have higher levels of certain trace nutrients. When used in poultry feed, these extra nutrients may increase the nutritional value of meat. In general, the USDA acknowledges that organic agriculture is gentler on the environment than conventional agricultural practices. In the areas of waste management, greenhouse gas reduction, soil and water quality, preservation of biodiversity and conservation of energy and water resources, organically produced chicken is usually the more environmentally sensitive option. The National Organic Standard, as set out by the USDA, makes provisions for the humane treatment of livestock animals. Under these conditions, organic chicken farmers must provide living conditions that allow healthy and natural chicken behavior. 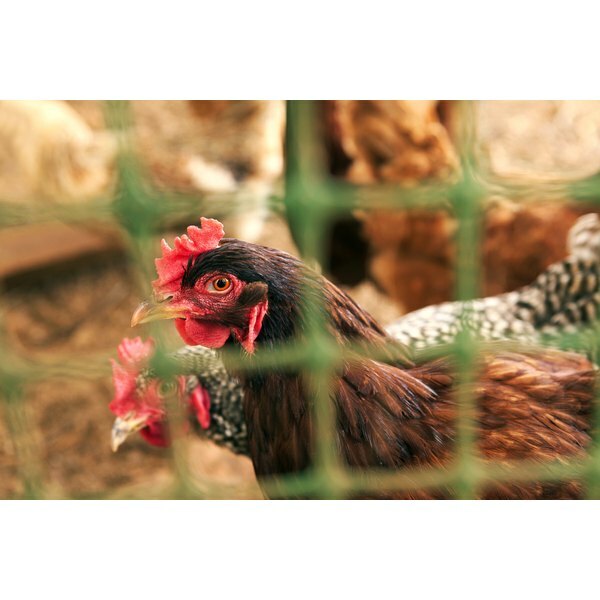 Organic chickens have access to the outdoors, direct sunshine and sufficient space for grooming and exercise. By law, meat processors cannot irradiate organic chicken to prevent bacterial contamination. As a result, some consumers may have concerns regarding food safety. In a 2007 study in the "Journal of Food Protection," researchers from the University of Santiago, Spain, compared bacteria populations in organically and conventionally raised poultry. The study found that organically raised chicken contained higher levels of bacteria than conventionally raised chicken or turkey. Although there was a higher overall bacterial count, the bacteria species in the organically raised chicken meat showed significantly less resistance to antibiotic medications than conventionally raised poultry. The study determined that organically raised chicken requires appropriate food-safety precautions but is a good choice for consumers concerned about the spread of antibiotic-resistant bacteria. The potential for contamination from veterinary hormones, antibiotics and other medications is a commonly cited reason for choosing organic meat. Under USDA regulations, farmers are not permitted to administer any kind of veterinary drugs, such as growth hormones or antibiotics, to livestock that is to be labeled as organic. The USDA notes, however, that imposed wait periods between treatment and slaughter make contamination from such medicines unlikely even for conventionally raised chicken. Organic Foodee: Why Buy Organic Chicken? Catherine Gray has been writing professionally since 2005. Her work appears in publications such as "Backhome" magazine and "Northern Woodlands." She holds a Bachelor of Science in biology from Nipissing University.